Our story began in a home for orphaned children in southeast Asia in 2003. Mike Fox, a businessman from Kansas City, Missouri, met a small group of children who dramatically changed the trajectory of his life and many others’. 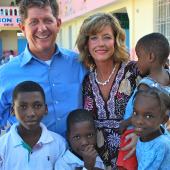 Mike and his wife, Beth Fox, founded The Global Orphan Project (formerly C3 Missions) in 2004. Supported by the 100% Commitment, the ministry became a vehicle to invite family and friends to invest in the lives of children who need family, and it grew quickly. Within a few years, GO Project was helping care for children on three continents with a growing emphasis on partnering with the local, indigenous church. The Lord is the leader of this ministry. GO Project is not affiliated with any particular denomination. However, we do exist and operate as an expression of Jesus Christ’s radical love in a fallen world. Our leaders are all passionate followers of Christ. We believe the Holy Bible to be the inspired, complete Word of God. We adopt the Scriptures as our Statement of Faith – obviously better than what we could fairly summarize ourselves. James 1:27 states: “Religion that God our father accepts as pure and faultless is this: to look after orphans and widows in their distress, and to keep oneself from being polluted by the world.” This verse captures the heart of our ministry. We strive to be doers of the Word, not mere talkers. As we helped local churches care for orphans around the world, we encountered many children who were alone, abused or abandoned. They needed someone to provide food, shelter, and their deepest needs for love, faith and family. But it quickly became apparent that other children living in residential care did not lack family. Rather, their parents lacked opportunity. 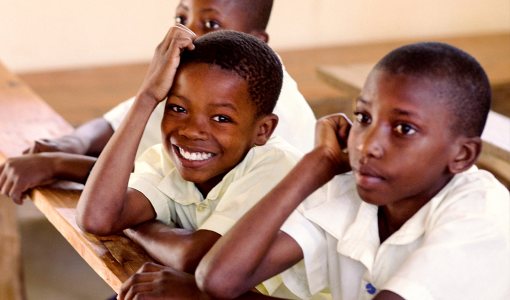 In 2010, this realization led to a commitment to orphan prevention through job creation and education. Our vision was to help strengthen families, keeping more children with their parents. 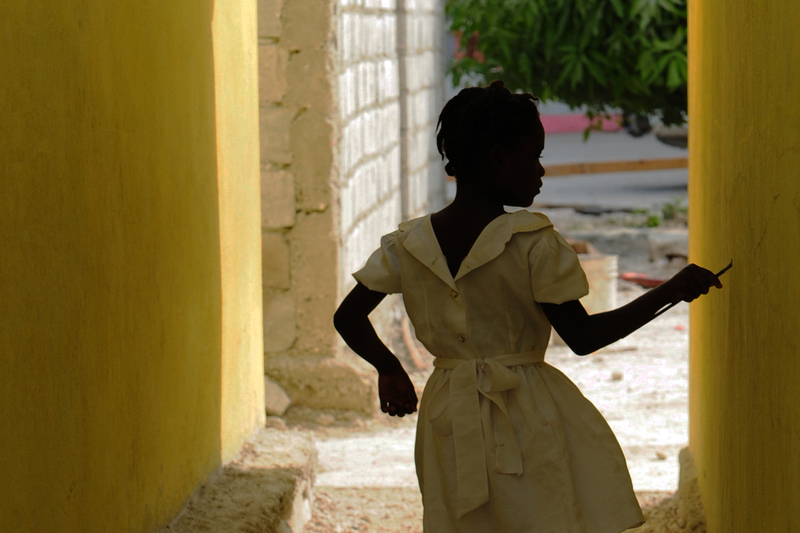 The orphan care and prevention model was improved, replicated, and implemented across three continents with three sister implementing organizations: GO Haiti, GO Africa, and GO India. HAITI — By improving access and assisting with costs associated with education — salaries and tuition, lunch programs, school uniforms, etc. — our local church partners strengthen families and communities. God wasn’t finished yet. In 2015, a conviction to care for children within the United States, led to the creation of CarePortal, a technology platform created to connect children in need to local churches, businesses and individuals who want to help. Since CarePortal’s launch in 2015, GO Project’s domestic ministry has grown exponentially, expanding rapidly, county-by-county through the U.S. It quickly became clear that CarePortal technology held potential far beyond our domestic ministry. In 2017, CarePortal launched internationally through a pilot program in Lebanon, enabling people around the world to help local churches meet real-time needs of children and families traumatized by war. GO Project continues to expand use of the platform to more locations to help more vulnerable children and families around the world. 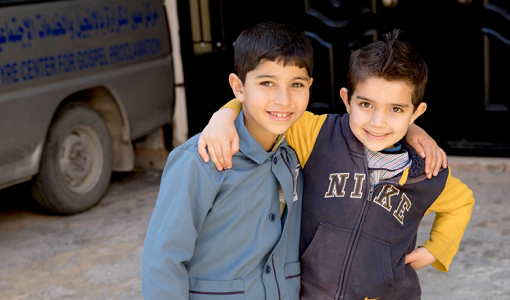 LEBANON — Refugee children and families in Tyre, Lebanon receive care through CarePortal connections. We’ve never been more committed to our mission of breaking the orphan cycle through the power of community, commerce, and the love of Jesus. It’s a work that’s bigger than any of us and all are welcome. Whether you join us through the marketplace – using your purchasing and giving decisions to create jobs and create sustainable flow of profit back to the world’s most vulnerable kids – or your passion is to give directly to ministry to the worlds’ most vulnerable children, you are needed and welcome in this global family of shoppers and givers committed to kids. 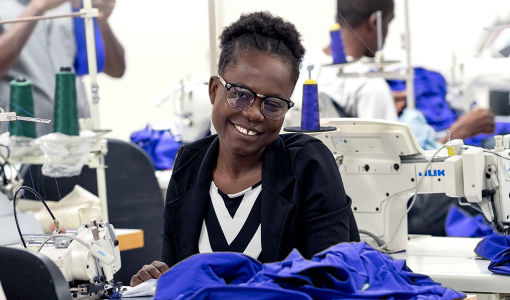 When you purchase a GOEX t-shirt, you not only help create living wage jobs, but all profit is reinvested to help care for the world’s most vulnerable children.